Albert Edward Joseph Watts, was born in Swinford, Leicestershire on 17th Oct 1893, the son of Albert Edward Watts and his wife Annie Elizabeth (nee Bailey). Albert senior was born in Newbold and worked as a railway engine stoker on the L & N W railway. In 1901 the family were living in Old Station Square, Rugby and by 1911 had moved to 38 Dale Street. By this time Albert junior was working as a core maker in an Iron Foundry. At the age of 17 he was the eldest of five children, all boys. The family subsequently moved to 2 Worcester Street, Rugby. Albert enlisted as a Private in the 7th Battalion of The King’s Royal Rifle Regiment, No. R/1607. He must have enlisted at a similar time to Rifleman Herbert Smith, regimental number R/1621. They both went out to France. LANCE-CORPL A E WATTS REPORTED MISSING. Amongst the men of the King’s Royal Rifles from Rugby and district who have recently been killed in action or are missing, it is feared must be included the name of Lance-Corpl Bert Watts, whose parents live at 2 Worcester Street, Rugby. 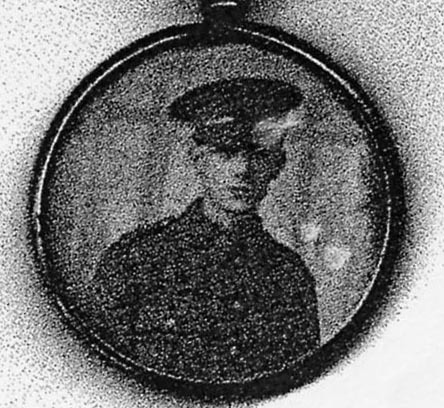 The first intimation that Lance-Corpl Watts was missing came from his “ pal,” Rifleman Alf Potter, whose home is in Victoria Avenue, New Bilton. The following is an extract from the letter to Mrs Watts:—” We went to the trenches the other night, and towards evening some bombardment started, and both sides had a very hot time of it. Everything went all right till the evening. I saw Bert, and we had a chat together. There was going to be an attack, so we had to leave one another, and both of us wished the other the best of luck. There was a charge made, and Bert was seen to fall and many others. In the evening we were released from the trenches and we had a lot of chaps either killed, wounded or missing. I enquired who they were, and was told Bert was one of them. You can guess how I felt when I heard this—absolutely down-hearted. Of course, we did not give him up, for he might have crawled out of the firing line, and perhaps be picked up by somebody and taken to some hospital. We are staying at a rest camp now, and all the hospitals round about have been visited to see who could be found, but nothing has been heard of Bert, so it does not seem as if there is any hope of him.” Up to the time he enlisted Lance-Corpl Watts was employed as a coremaker at Messrs Willans & Robinson’s Works. He was a footballer and popular amongst his workmates. He has two brothers in the Army, one being at the front in the Royal Field Artillery. Albert was awarded the 1914-15 Star, the British War Medal and the Victory Medal. Albert has no known grave but is commemorated on the Menin Gate Memorial, Panel 51 and 53. He is also remembered on the Rugby Memorial Gate. This entry was posted in Biography and tagged 1915, Hooge, Kings Royal Rifles, Watts by Christine. Bookmark the permalink. Well done one and all – it brings home the loss that was felt by families and the town on that day.